The KGW "Shark Cam" is a partnership with the Oregon Coast Aquarium, providing a fish-eye view into the Aquarium's "Passages of the Deep" exhibit. Web visitors to KGW.com can now enjoy the same experience as Visitors to the Oregon Coast Aquarium, who are immersed in Keiko’s former home through acrylic tunnels surrounded by several feet of sea water. "Passages of the Deep" gives visitors an experience almost like walking into the open ocean. 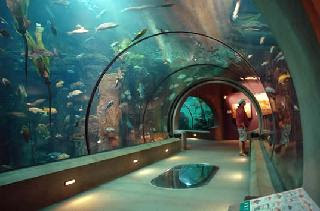 Visitors get to come face to face with large sharks, rockfish and bat rays swimming above and below. Waves surging against the tunnel give visitors the impression they are beneath the ocean. And the Oregon shipwreck resting on the bottom increases the feeling of being early undersea explorers. Now viewers of the KGW "Shark Cam" can enjoy that same experience: an up-close view of sharks, rockfish and bat rays swimming across the desktop of their computer! This is a really cool place to visit, and now you can visit the Oregon Coast Aquarium from your home via the Shark Cam!! 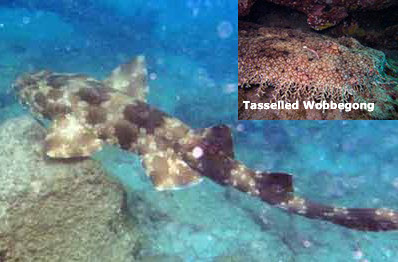 *Consider temperature; a popular shark sold for the aquarium hobby, the Leopard Shark, is a cool water fish (under 70F) and this along with the fact these will eventually outgrow most aquariums.